We performed surveys in different areas of the Russian Pacific from southern Kuril Islands to Chukotka, spanning more than 3500 km. 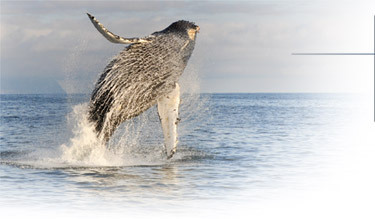 It was the most extensive effort to study whale distribution in the Russian Pacific since whaling times. We surveyed eastern coast of Kamchatka and Commander Islands, Kuril Islands, western and northern Okhotsk Sea, southern and eastern Chukotka. During the surveys we encountered eleven species of cetaceans: killer whale (Orcinus orca), Baird's beaked whale (Berardius bairdii), sperm whale (Physeter macrocephalus), Dall's porpoise (Phocoenoides dalli), harbor porpoise (Phocoena phocoena), humpback whale (Megaptera novaeangliae), minke whale (Balaenoptera acutorostrata), fin whale (Balaenoptera physalus), gray whale (Eschrichtius robustus), bowhead whale (Balaena mysticetus) and beluga whale (Delphinapterus leucas). During the surveys we recorded the GPS positions and behavior of all encountered cetaceans and collected additional information depending on the species. We took photographs for photo-identification during the encounters with killer whales, humpback whales, Baird's beaked whales, fin whales and sperm whales. We recorded sounds of killer whale groups to identify their clan affiliation. In the Kuril Islands, we used passive acoustic monitoring (towed hydrophone) to estimate the distribution of sperm whales. We took biopsy samples for genetic analysis from killer whales, humpback whales, Baird's beaked whales, beluga whales, gray whales and bowhead whales. For other cetacean species we obtained only the survey data (GPS positions and behavior) to estimate their distribution and relative abundance. Through this project, for the first time we identified the areas important for cetaceans in the Russian Pacific. We defined the candidate areas for whale MPAs following the criteria that the area must include a critical habitat of some cetacean species and protecting this area must reduce antropogenic threats to these species.